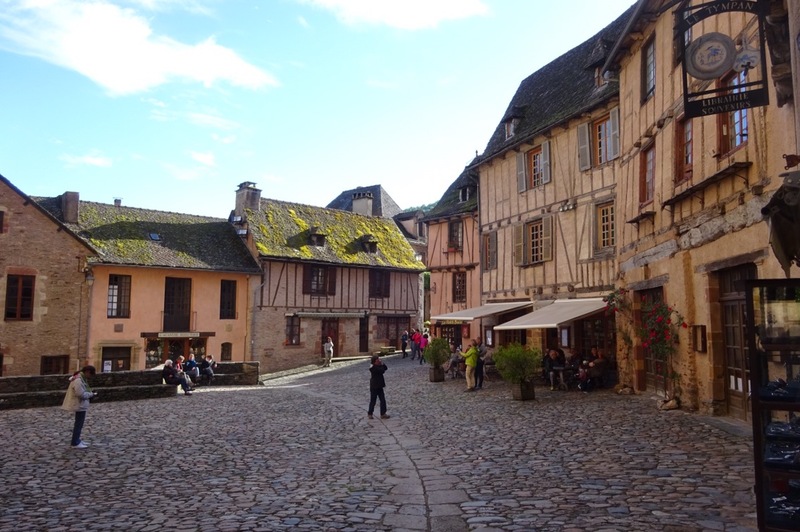 Conques is a major pilgrimage destination as well as a resting place for pilgrims walking along the Via Podiensis. 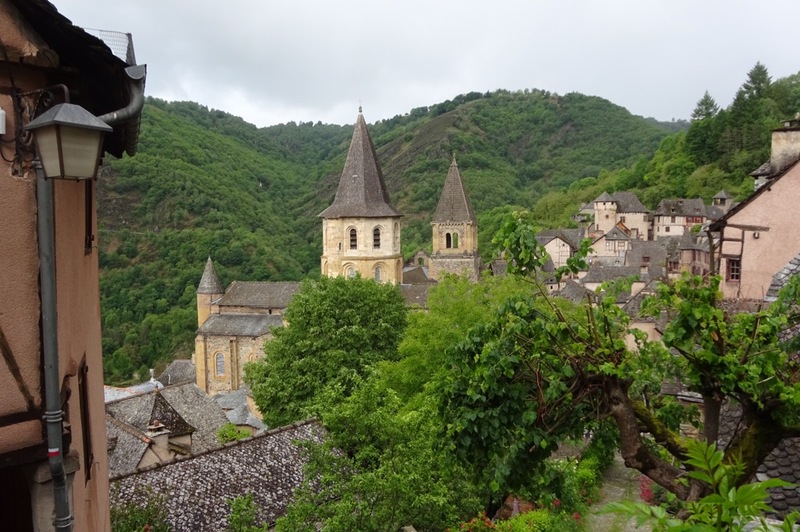 The village has been hemmed into a rugged site in the hillside and is dominated by the Abbaye de Saint-Foy. 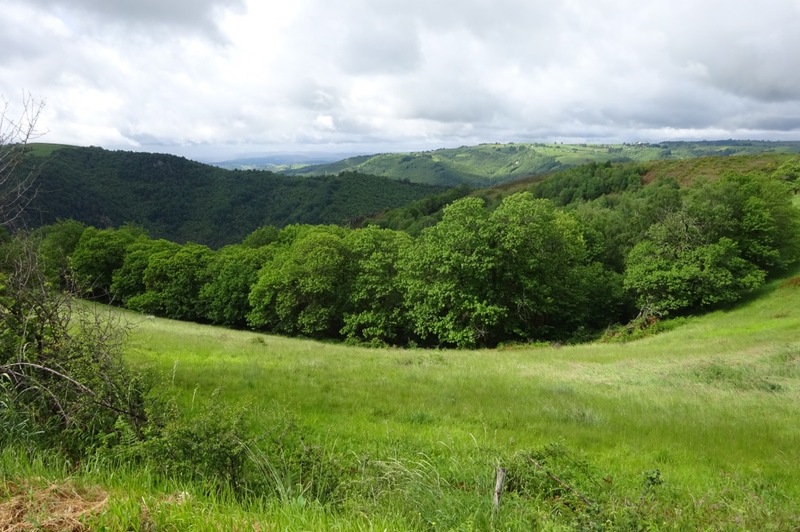 Pilgrims have been drawn here since the 9th century at the dawning of the Camino. The church dates from 1050 and is of majestic proportions, with a towering 22m internal height. Like a modern day shopping centre, the Abbaye needed an anchor tenant to draw pilgrims and create wealth. 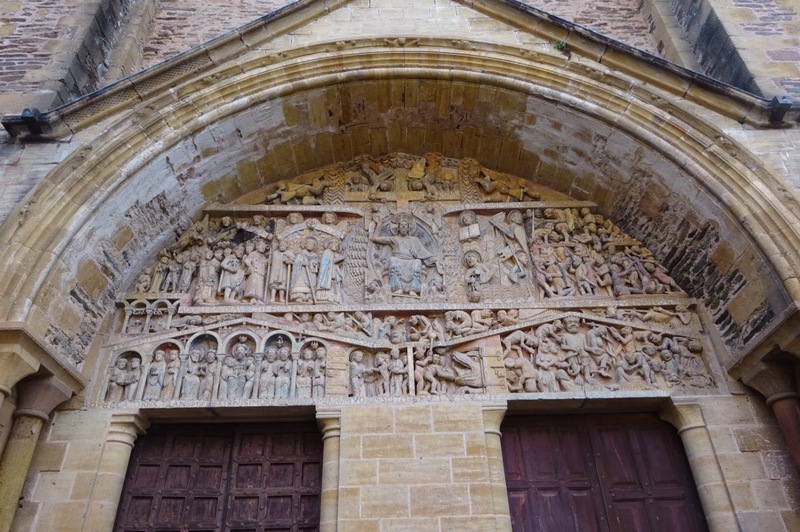 A monk was therefore dispatched to Agen where, after 9 years, he had the opportunity to steal the closely guarded remains of Saint-Foy and bring them to Conques. 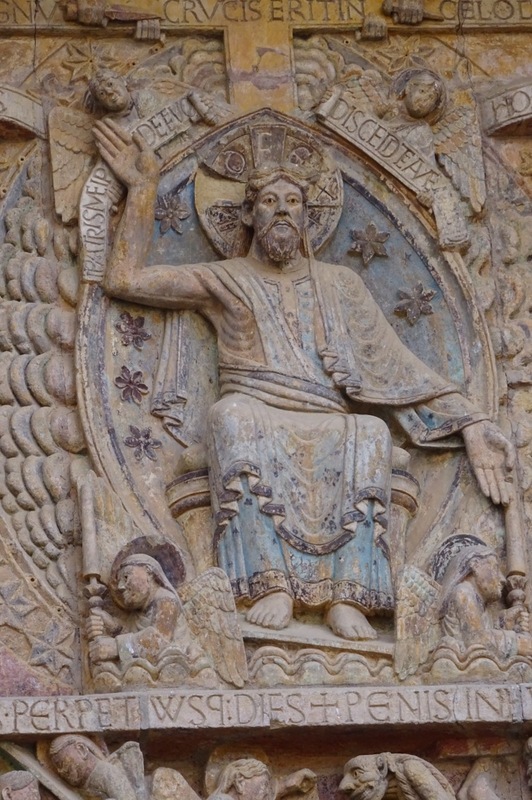 The Saint was a young early Christian martyr who defied the pre-Christian Romans by refusing to worship their idols. Her fame was spreading through many documented miracles and once established in Conques the pilgrims came and the Abbaye grew rich. 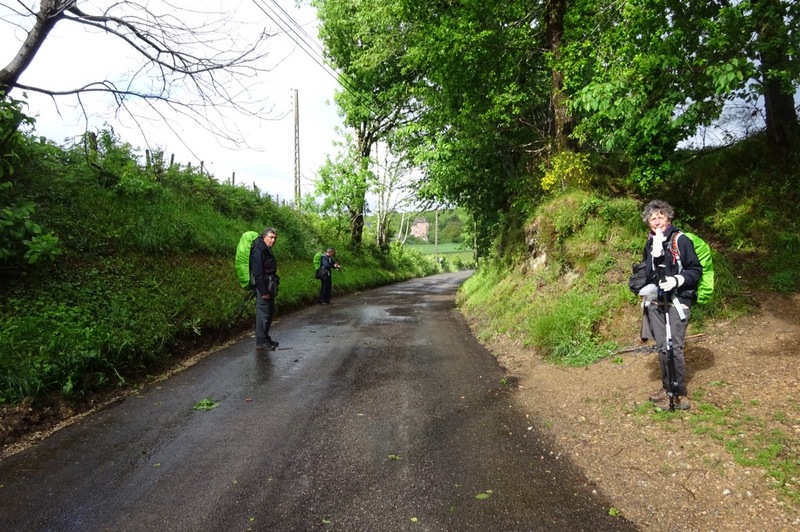 The majority of the pilgrims setting out from Le Puy were walking the 200Km to Conques either as a pilgrimage in itself or as the first leg of the Camino. 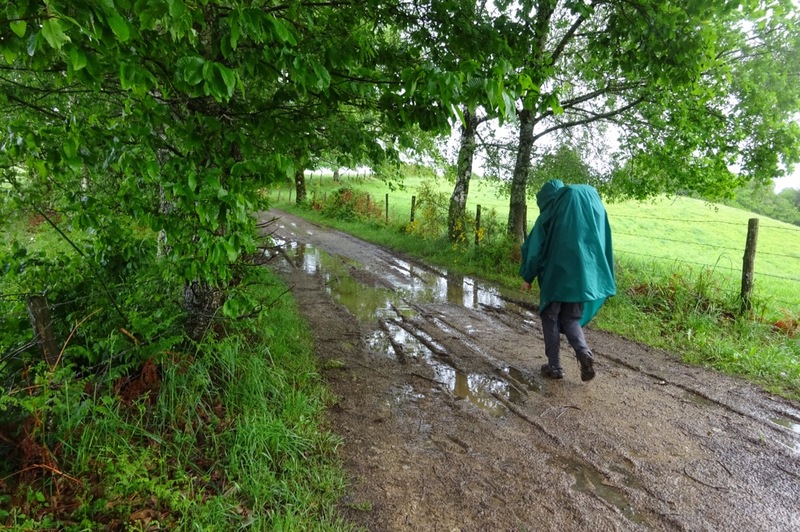 Because of the distance to Compostela, the French tend to walk the Camino in stages over many years; this morning was therefore a parting of the ways. Many familiar faces are returning home and a few others, including “I”, have continued their walk. “I” has a tight schedule without rest days and avoiding the larger towns like Cahors in the same way that I would avoid Birmingham. It was fun walking with “I” who speaks good English after a career with a multinational company in Paris. 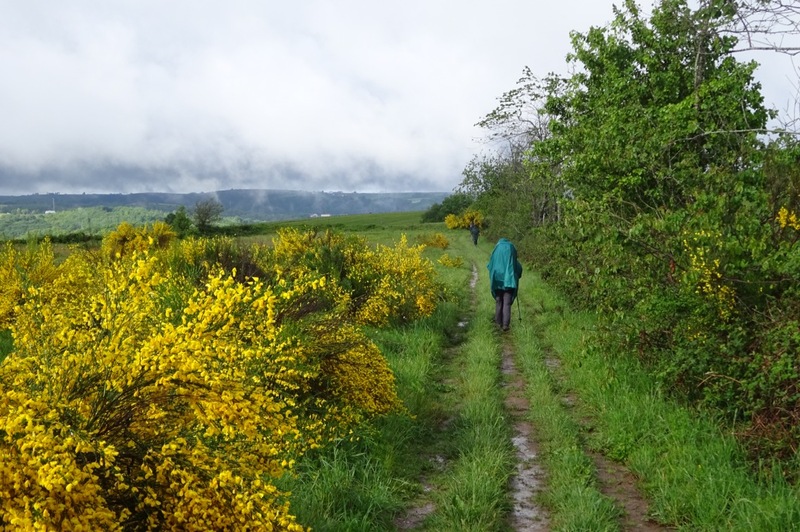 But the Camino is always a story of many chapters. I’m staying two nights in the Abbaye which is crowded with pilgrims. We are treated to almost non stop religious devotion. After a walk around the village yesterday we attended Vespers before a hearty communal dinner with wine. After that we were ushered back to church for the elaborate blessing of the pilgrims. It was all in French of course so one can only absorb the spirit rather than the meaning of the ceremony. There was a moment of embarrassing confusion when suddenly the Priest beckoned me to the Alter and presented me with the Gospel according to John, in English. 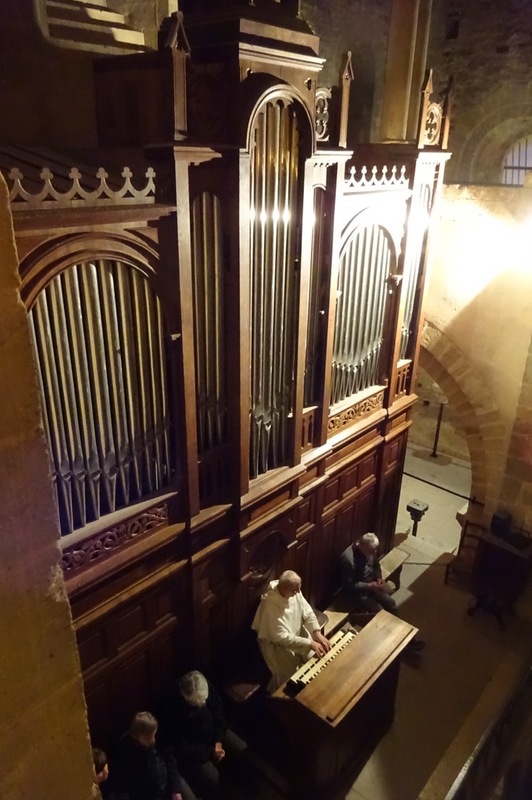 I feared he wanted me to read the whole thing to the bemused congregation but fortunately he had a copy for each pilgrim and, not being French, I was called first. The ceremony was followed by a tour of the upper levels of the church while the organ played, a truly awesome experience. After a good night’s sleep, we rose to an early breakfast followed by Mass. 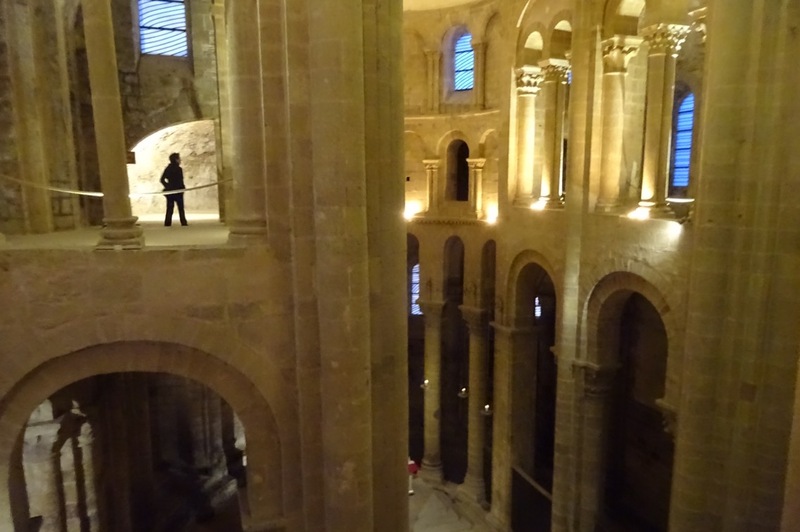 I then inspected the treasures of the Abbaye at my leisure; gold, silver and precious jewels from a thousand years ago. 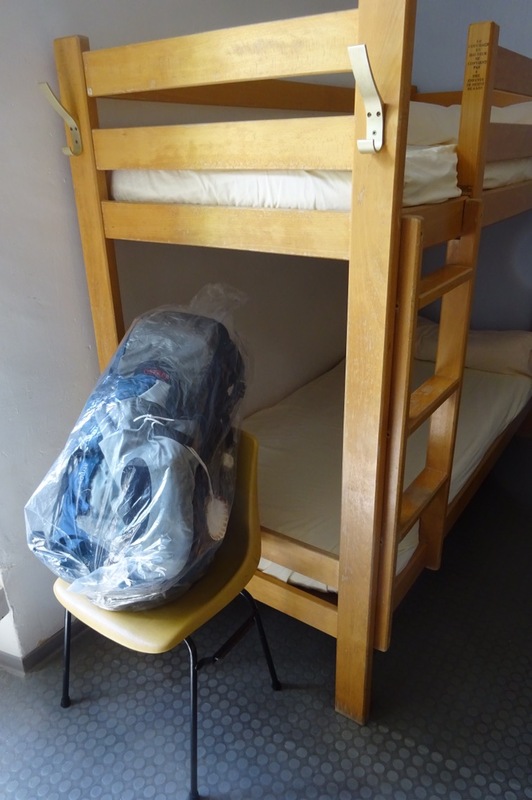 Mandatory plastic bags to stop bed bugs escaping. 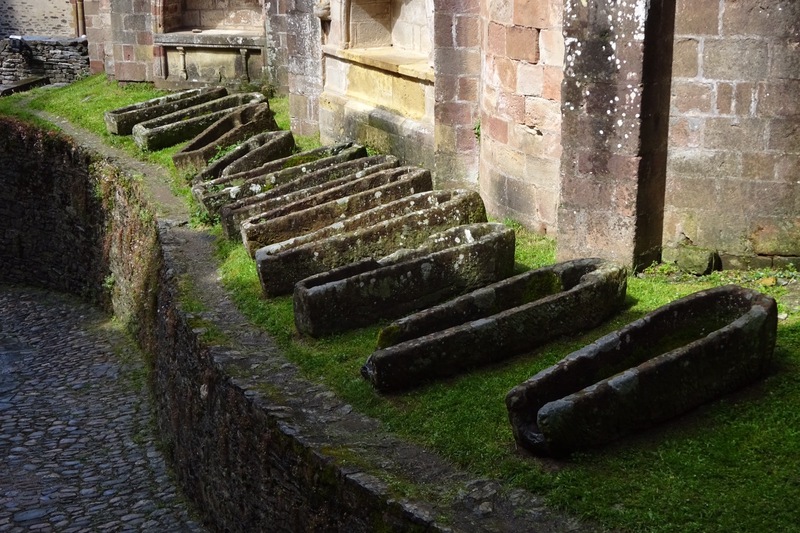 Maybe the stone coffins are for those who succumb to the bed bugs…. Sounds wonderful, keep it up, hope no blisters this time! Well they are just outside my window so very convenient. Had a couple of fairly minor blisters but nothing like last year. So far, so good! You will miss all your old travelling companions….